If you own a condominium property somewhere in Hudson County, NJ, you may be interested in learning more about the current status of the market! Hudson County is a large area, so it’s important to ensure you’re keeping track of the different communities here and their unique real estate markets. This is especially important if you’re thinking of selling or investing in the Hudson County market! Luckily, we have everything you need to know about the current real estate market here in this guide. Take a minute to learn more about real estate in both Hoboken and Downtown Jersey City. As a comparison, the average sales value increased nearly 8.43% over June 2017, and the average price per sq. foot saw a 1.66% increase from June 2017. In June 2018, the total closed condo sales in Hoboken decreased by 25.66% from a year ago, in June 2017. Room for negotiation: There is little room for negotiation in the Hoboken condominium real estate market. In June 2018, the average sales price to list price ratio was 99.26%, around 1.19% lower than a year ago in June 2017. As a comparison, the average sales value decreased 6.65% since June 2017, and the average price per sq. foot saw a 2.93% decrease from a year ago. In June 2018, the total closed condo sales in Downtown Jersey City decreased by 9.23% from a year ago, in June 2017. Room for negotiation: Similarly, there is little room for negotiation in the Downtown Jersey City condominium real estate market. In June 2018, the average list price to sales price ratio was 99.73%. The first step to success in real estate is resource. That’s why my team and I offer so many complimentary resources for both buyers and sellers in Hudson County. If you’re making serious plans involving the Hudson County real estate market, I highly recommend you request the Living on the Hudson Sales Report. Every month, my team and I detail average sales value, days on market information, and everything else you need to know about the Hudson County condo market. 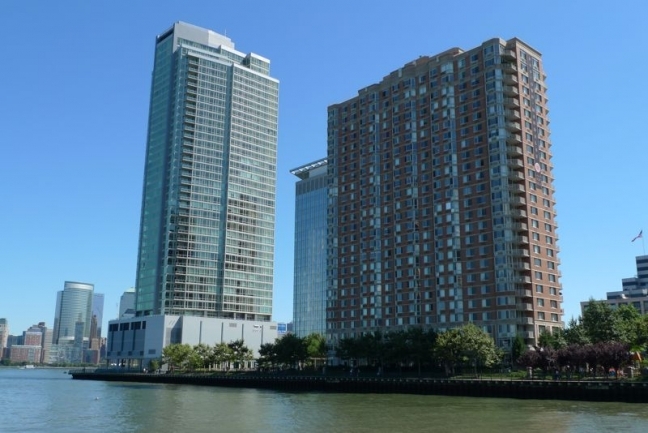 With the average sales value for a Downtown Jersey City condo slightly lower than this time last year, now is a great time to buy a condo in Hudson County. Interested in selling a Hoboken condo? Now would be the perfect time to list your condo. Earn top dollar for your property by requesting a comparative market analysis for your condo today.